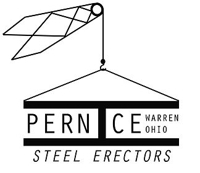 Pernice Steel Erectors has completed projects ranging from auto repair shops, stores, mini-storage, hockey rinks, dining halls, equestrian arenas, churches and industrial warehouses. I have used Pernice Steel Erectors on multiple commercial projects and the results have always exceeded my expectations. Joe is a true professional in the business and I will continue to partner with him in the future. Every time the job was completed on time and on budget. I have used Pernice Steel Erectors for two projects, approximately three years apart. The projects involved the erection of two steel buildings under a time frame that needed to be met as the work was done for summer camp. Joe Pernice made sure the projects were completed on time and that the work was properly. I had no issues whatsoever with working out any logistical problems that arose and Joe made sure that the job was completed. He encountered severe weather issues, terrain challenges and just about anything else you can think of. He took everything in stride and nothing really affected his focus of getting the job done right. I would recommend Pernice Steel Erectors for any job and dealing with Joe has been an absolute pleasure.